Poppy seeds are believed to have originated in either Western Asia or the Western Mediterranean region. Historians believe that they were first cultivated in lower Mesopotamia by the Sumerians around 3400 BC. It was at this point that opium was discovered and first used. The plant, along with its medicinal and dietary uses would be passed on to the Assyrians and from them to the Babylonians and then to the Egyptians. Poppy seeds were documented by the Ancient Egyptians around 1550 BC as being an effective sedative. Poppy seeds were also used by the Minoans during the Bronze Age. When Alexander the Great conquered Egypt, this was the beginning of spices from the Middle East being imported into Greece. Poppy seeds were among those spices. This was also the point at which the use of poppy seeds in bread began. 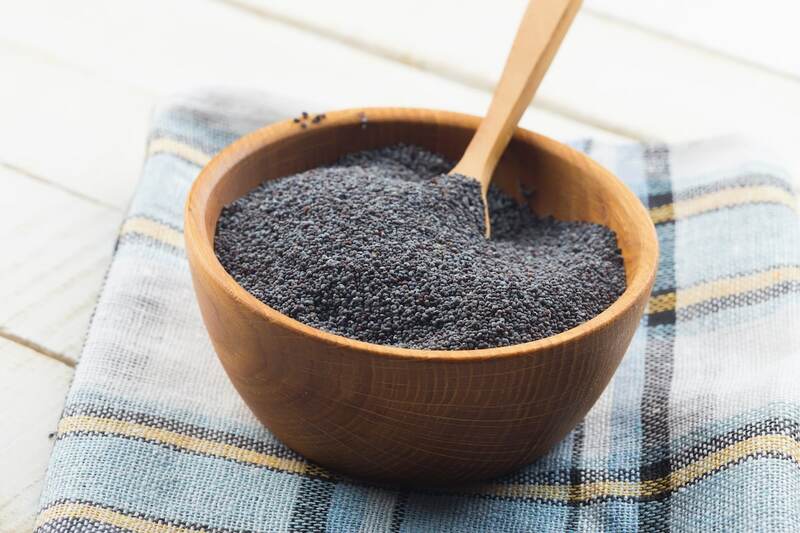 Poppy seeds were also used heavily in Ancient Rome. Poppy seeds were a crucial ingredient in the favorite dessert of famed gourmet Apicius. Use of the poppy seed in Europe continued through the Middle Ages. It served as both a medicine as a spice. Today, the world’s main poppy seed producer is the Czech Republic with Turkey and Spain in second and third place. Poppy seeds have a nutty flavor with spicy and sweet undertones. The flavor is subtle so poppy seeds are used mostly for their ability to provide a crunchy texture. 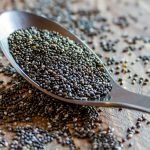 Minerals: You can get four percent each of the calcium and phosphorus you need each day from a single teaspoon of poppy seeds. Both minerals are important for maintaining and building bones. In addition to being important for bone health, phosphorus is also needed for energy production. You can also get 2 percent of your daily magnesium from the same serving size. Like calcium, magnesium is needed for bone health but also for the health of your muscles and nervous system. 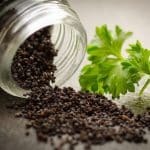 Vitamins: Poppy seeds do not have a high concentration of vitamins, but a 1-tablespoon serving does provide you with 5 percent of your daily thiamine and two percent of your folate. You need folate for the formation of red and white blood cells as well as for energy production. Fiber: You will get 2 percent of your fiber from a single tablespoon of poppy seeds. Fiber is important for colon health and digestion. Linoleic acid: Linoleic acid is an omega-6 fatty acid that is used for skin health and that can be beneficial for heart health as well. Osteoporosis: The calcium, phosphorus and magnesium in poppy seeds can help to offset the bone loss that is the main characteristic of osteoporosis. Heart disease: The linoleic acid and fiber in poppy seeds make it a heart healthy food that can play an important role in heart disease prevention. Constipation: As a source of fiber, poppy seeds ease the passage of food through the gut so that bowel movements are easier. In the US, poppy seeds are known as a topping for muffins, bagels and kaiser rolls. The lemon poppy seed muffin is an especially popular application for this spice. They are also widely used in Eastern European cuisine where they show up in Polish poppy seed strudels and Hungarian poppy seed bread pudding. What's A Good Poppy Seeds Substitute? 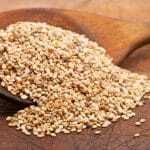 What's A Good Sesame Seeds Substitute?